A group of businesses in the Yorkshire Dales is appealing to walkers to adopt a different route for the area’s Three Peaks Challenge. The group wants walkers to consider starting and ending their venture in the village of Ingleton, which is not on the current route. Most participants in the circular walk, which involves summiting Pen-y-ghent, Whernside and Ingleborough, begin and finish at Horton in Ribblesdale, which has led to complaints from residents that the village is being overwhelmed by the number of challenge walkers, particularly during summer weekends. 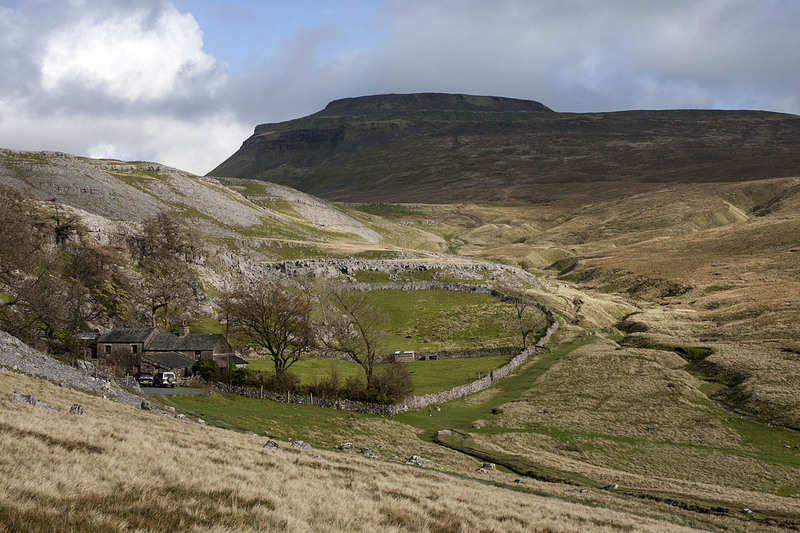 The new route from Ingleton would add about 9km (6 miles) to the traditional Three Peaks Challenge course, and would also involve about 140m of extra ascent. It would take in Ingleborough first before heading through Horton, with Pen-y-ghent and Whernside tackled subsequently. The current route involves about 38km (24 miles) of walking and about 1,500m of ascent with a target of completing the walk in 12 hours or less. The Cave Rescue Organisation, the team in whose area the Three Peaks lie, is regularly called out to bring to safety walkers who get lost when they run out of daylight attempting the challenge. Ingleton Area Business Group said: “The Yorkshire Three Peaks challenge originally began and ended at Chapel-le-Dale. “The start and end moved to Horton in Ribblesdale in 1968 when savvy cafe owners offered a clocking-in and out service. Over recent years due to an increase in the number of walkers Horton in Ribblesdale has become inundated and is struggling to cope with the number of visitors. “Over the last 18 months Ingleton’s Overground Underground Festival has entered into talks with Horton Parish Council, residents, the Yorkshire Dales National Park Authority, Ingleton Parish Council, Ingleton Area Business Group and Yorkshire Dales Millennium Trust to find a way around the problem. Debbie Boswell, YDMT’s Discover Ingleborough officer said: “It’s a great idea to promote an alternative start and finish to the very popular Three Peaks route. The business group said Ingleton is the perfect place to support individuals and small groups wanting to complete the Three Peaks Challenge. It pointed out the village has plenty of accommodation and parking and the village has a good range of shops, cafes, pubs and restaurants. There are also outdoor and indoor attractions nearby, it added. A group spokesperson said: “We really hope people will consider planning their route from here to alleviate the enormous pressure on Horton in Ribblesdale and reduce the amount of traffic on the roads as people travel to and from Horton. Allan Shutt landlord of the Station Inn at Ribblehead, which is on the Three Peaks route, has touted moving the start to the area. He said a disused quarry could be used for parking and urged the national park authority to build a toilet block at the site. The national park authority said it will discuss the problems caused by Three Peaks walkers next month. The authority’s chairman Carl Lis said: “We are working closely with the local community in and around Horton to help address concerns about the behaviour of some people undertaking the Three Peaks route. “We have drafted a new simple code of conduct, aimed at individuals, that can be given out by event organisers and car park owners in Horton. “The Yorkshire Dales National Park Authority will be debating the issues and options from a visitor-management perspective at its next meeting in December. “Clearly alternative starts will be part of that discussion. Ingleton has been suggested, and we know that some people already choose to start the walk from Ribblehead or Chapel-le-Dale. “I think it is important to keep this all in perspective. We know there are about 20 Saturdays a year when there are large organised charity events, but there have been fewer such events this year than last year. “We do not want to put people off walking the Three Peaks. Three Peaks visitors bring income into the local economy with people staying overnight before and after their walk. The community also benefits directly through the revenue generated by opening up fields for parking. Wouldn't it be easier to build a proper National Park carpark and toilet block at Ribblehead, and just do it from there? It's already well-used, has a large pub and camping, and it's miles away from any dense habitation. The typical Three-Peaker will not add 6 miles, not in a million years will the challenge walkers start doing 30 miles. Not going to happen. Agree Dave, I have done over 50 3 Peaks over many years and for Joe average fellwalker it was a hard but do-able challenge within the time allowed. I live a 2 and a half hours drive from Horton and with an early start could do the walk and could get back home at a reasonable time. Adding 6 miles to the route would make this impossible, so the idea of a Ribblehead star/ finish would appear to be the best solution. Can't see why challenge walkers should object to a few miles being added for the sake of a sustainable start from Ingleton – it's a challenge isn't it? The original Three Peaks walk was done decades ago by two or three chaps who started from Giggleswick – more than the 30 miles being touted here, and maybe a good spot for purists to start? I've done it - it's feasible. Stainforth also has a car park and toilet block. Helwith Bridge could take up some of the slack too. Building a car park & toilet block at Ribblehead doesn't appeal - more concrete and tarmac in a National Park? Really? Why blight another spot for the sake of a few weekends a year? What happens in a few years if there wish cums true and no one walks from Horton , pubs close shops close etc carefull what you wish for. 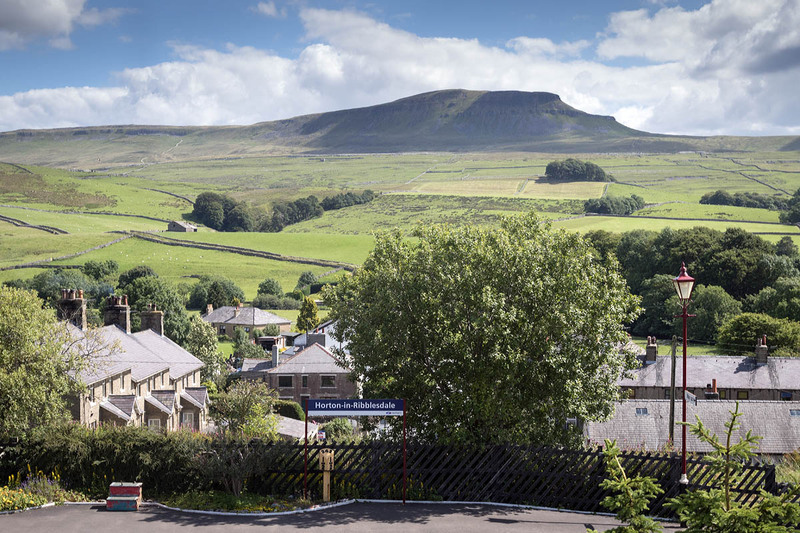 Although not directly putting customers on the doorstep of the businesses of Ingleton, sympathetic development of the Ribblehead quarry site does seem a good solution. It is an existing brownfield site that has ample space for parking and small-scale café/retail development, a rail station and road access from 3 directions. Copious tree planting would hide the site to some extent. Ribblehead quarry is also a nature reserve so is absolutely NOT the right place for any development. I live in Horton and the whole hoo-ha of 3 peaks walkers being rude and annoying to residents has been completely overblown. Yes, in peak 3 peaking season, with charities walking too, there are a lot of walkers starting and finishing in Horton but, all things considered, the vast majority of the walkers are great and really amenable. There was a local meeting in Horton called (earlier in the year I think) for residents to raise this issue but I think that the meeting was led by one or two disgruntled residents and only attended by the same so, surprise surprise, only a disgruntled conclusion came out of the meeting, with subsequent publicity in the Craven Herald. The real thing here is that 2% of everybody, whether Horton residents (Ingleton residents) or 3 peaks walkers, will be pains in the arse and when 100,000 people walk around the 3P each year, that means that 2,000 will not be 'great and amenable. how about a park and ride scheme. Michael Haden - that's a superb idea. BrianS. above. Actually the OS pillar on Whernside is in Cumbria so it would be Yorkshire 2, Cumbria and Lancashire one each. All this flannel about caring for the environment indeed. It's a few businessmen looking after their pockets more like. Nobody is forced to start at Horton but tradition says you click in at the café, or you did when I last did the 3P's. At least starting at Horton means you get over the long drag to Whernside early in the walk. Whernside to Chapel le Dale is a doddle. From Ingleborough back to Horton is easy on the legs despite the distance. Logically Horton has too many advantages over the other start points.. I like the idea of a proper car park and toilets at Ribblehead. I agree with previous comments, I really can’t see folk on one of the charity walks wanting to add another 6 miles on. Ribblehead is a great place to start for many reasons, but you don't need to build car parks and toilet blocks. The early train from Leeds arrives at 06.37 a.m. weekdays and 07.51 a.m. on Saturdays - so plenty of time to do the walk, have a pint or two and something to eat at the Station Inn, and catch the last train back. If you're coming from away, stay over in Skipton or Settle, where there's tons of accommodation and facilities.